Shipped within 24 hours of payment clearance. Delivered via Australia Post. Iron Duke spanners are manufactured to ANSI specifications. Forged from chrome vanadium tempered and hardened steel. Mirror polished and chrome plated. Includes a clip out tool holder. Metric measurements with 9 spanners. These spanners have been out in the workplace for the last 12 months with positive reviews. Ideal anywhere a good quality spanner is needed. 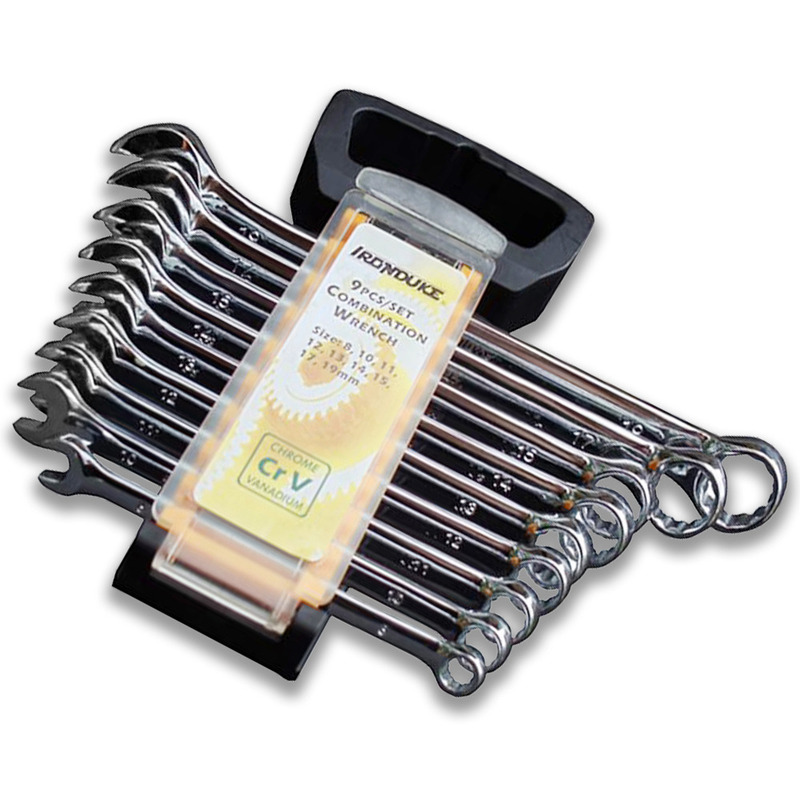 This 9 Piece Spanner Set includes 8mm, 10mm, 11mm, 12mm, 13mm, 14mm 15mm, 17mm and 19mm.